technology, includes more than 40 dealers all over the world. alright, that took forever since the link function for this board is all messed up- i had to do everything manually in html... hope this is useful to someone. 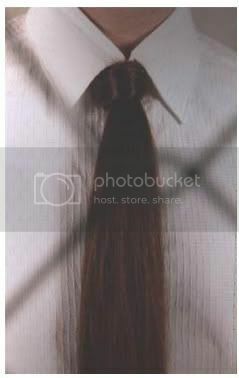 Did anyone seen one of the hair neckties from SS 06 for sale anywhere? [quote user="xcoldricex"]alright, that took forever since the link function for this board is all messed up- i had to do everything manually in html... hope this is useful to someone. Yea, the link function takes a little getting used to. You have to paste the link twice; in the typepad, and then again after you click on the link icon. I tried on the most amazing pair of pants when I was in London, at The Library. They were completely reversible - one side was grey cotton, cut like jeans, and stitched with that thick signature thread. The other side were black wool dress pants. The fly is removable with buttons on both sides. It was one of the most intricate pieces I have ever seen. !!! but you didn't get them! were they upwards of $700? i assume they are this season's? oh no, the link thing is problematic when you're trying to write many links in a row. it bunches text together even if you don't highlight it. so after i thought i finished the first time, i ended up having three links instead of like 10. so i had to go back and manually do it through html. i don't know what the deal is with the system. i tried fixing it through the system trying to unlink text and relinking- but then it would just add the old link. Am I the only one who finds the hair tie to be completely creepy? Also, the first thing that comes to my mind is Cousin Itt from The Addams Family. On a different note, great compilation of links, thanks. Thanks for taking the time with all those links coldrice, great stuff. yes i believe so. he previously has actually made an entire long jacket out of human hair. where is ccp stocked in hong kong? joyce? yea, 10 is actually pretty good! did albert buy them? i know he said he was going to... but damn, those things ain't cheap! bellapietra has them, and vio on tFS seems to have bought them too. i don't think albert did.